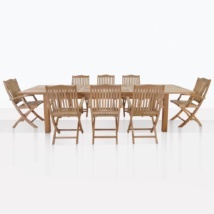 Gather the family around this A-Grade teak table set that can seat 8 people with these chairs. 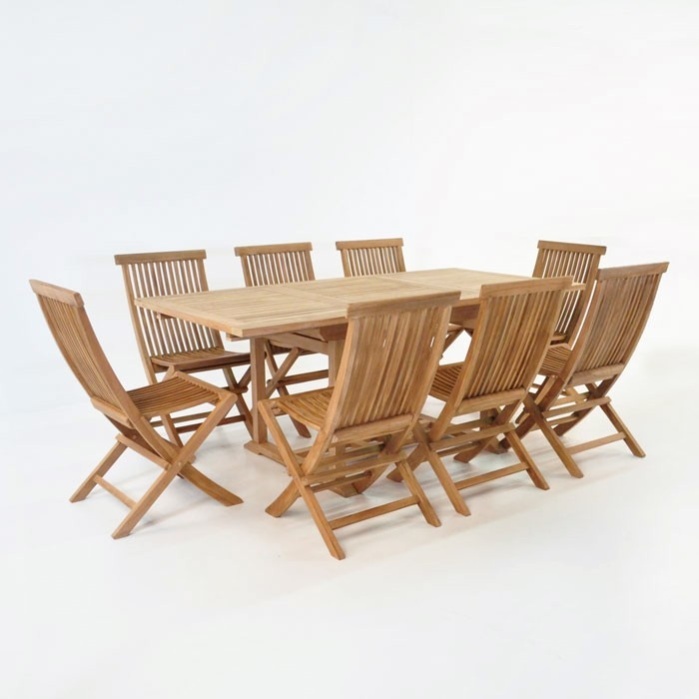 This is a wonderful all teak dining set for the afternoon lunch in your backyard. 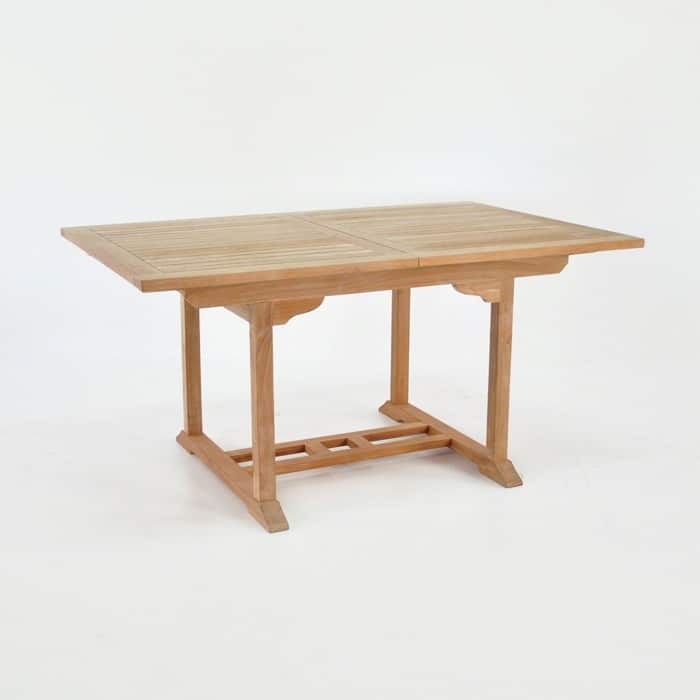 Without the leaf extension, this teak table is 47” long. At this length, it can seat 4-6 comfortably. 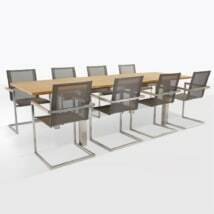 When the single leaf extension is utilized, it table expands to 70” long. This is what is shown in the featured image and as you can see, it can seat 6-8 people comfortably. 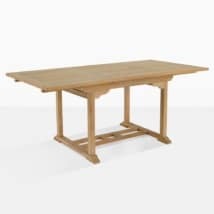 Like all of our dining tables, this single leaf extension table stands at 29” high. 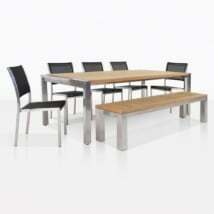 Please note, the dining table included in this set does not come included with an umbrella hole built in. If you would like an umbrella hole included, please include that in your notes during the checkout or give us a call and we will accommodate this request for you at no extra charge! The chairs in this set are our famous Prego chairs. 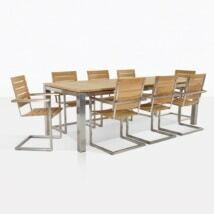 Made out of A-Grade teak, it matches perfectly with the single leaf extension table. One of the reasons the Prego is one of our best selling dining chairs is the fact that is can fold for very easy storage. 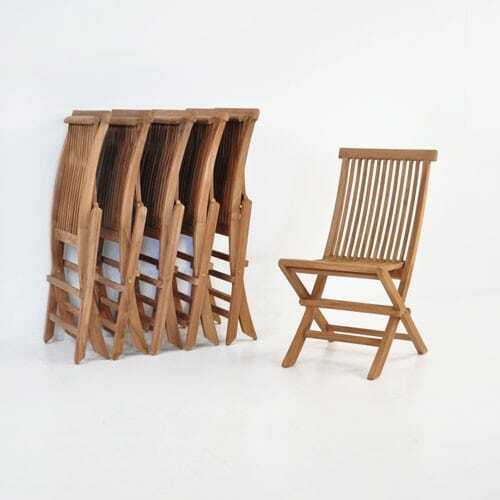 Either leave the teak chairs outside with the table, or fold the chairs and store them in a garage. 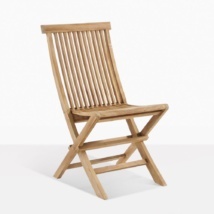 Being made from A-Grade teak, these chairs will last a very long time no matter where you keep them.